Everyone I have spoken with in this years women’s race seems to have a healthy respect for one another, no-one is willing to put their heads on the chopping block to say “hey I am the favourite” no one is over cocky so I suppose that’s going to make it kind of interesting as there is this massive level of respect amongst the athlete’s. The athletes instead want their actions to do the talking on race day, so we will se what happens on the day and I will try to explain a bit about what I know of each athlete on this list who is in the 1 day Women’s Coast to Coast line up. Some of the best athletes in the world battling for their best performance on the day and of course the title of Winner and World multisport champion at Coast to Coast. Those athletes that respect the course, have been consistent and addressed their previous weaknesses the best to become the most complete athlete on the day, over this specific course will be crowned the Champion and though past performance is a good indicator, sometimes having a poor performance one year can spur you into a more disciplined and determined headspace so picking a winner from this list of amazing female athletes is going to be hard. River levels have dropped this year and a low river level is predicted for race day, this suits the stronger paddlers as it eliminates a lot of the room for error in the river and showcases more defined race lines as well as exposing more of the rocks and narrowing many channels, perhaps offering more advantage to those who know the paddle course well or can read the water the best. 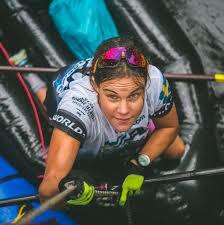 After speaking with Katie Cambie of Topsport kayaking we got these opinions based on her knowledge of the kiwis. Simone is a weapon, her cycle leg is very powerful and was slowly gaining on last years 2nd place Sophie Hart in the final kilometres of the ride 70km into New Brighton. Simone put in a better than expected paddle for 2018 managing to keep the gap close enough to catch and pass Corrinne and Elina at the final ride taking 3rd overall female. 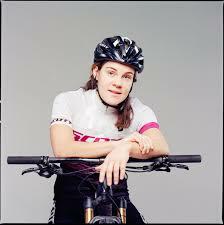 Corrine is now known as an all-rounder, an ex pro cyclist who can paddle and has a decent run. 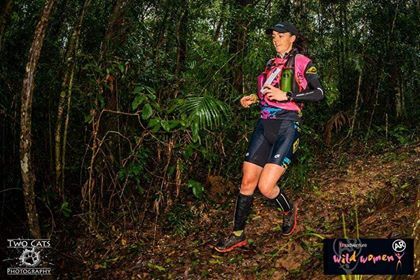 Corrinne was “disappointed” with her 2018 Coast to Coast performance where she had come in good condition with all the work behind her but only managed a 5th overall place on race day, a few minutes behind Elina Uusher… With a monkey on her back from last year we think she will have a point to prove and hope she can put together a performance to suit her abilities. 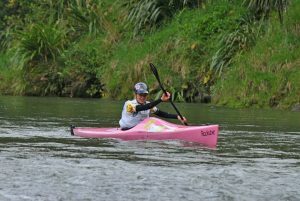 With a recent podium at the Rangitekei River paddle in mid January, her form is evident. 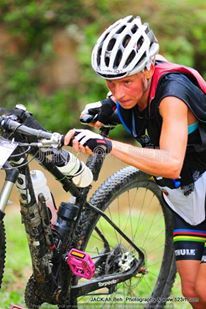 Elina is a four time winner of the Kathmandu Coast to Coast longest day world championships and is lining up for her fourteenth race in a row, just as motivated and excited as she was in her first race of 2006. Ussher is still one of world’s best adventure and multi-sport athletes and the Finnish-born Nelson resident and former Adventure Racing World Champion has not missed a Coast to Coast since her 2006 debut when she came second to Canadian turned Kiwi Emily Miazga. 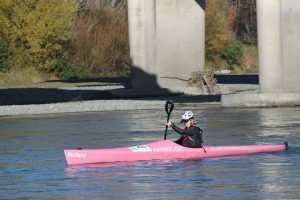 The 42 year old says she is looking forward to racing and challenging her limits again on the 9th of February when the one day event starts off on Kumara beach on the South Island’s West Coast and heads over the Southern Alps and down the Waimakariri River to finish at New Brighton in Christchurch. Ussher thinks finishing in top three is a realistic goal and the focus on having a great day does not mean she has to win her fifth title. Sounds like she has a point to prove in 2019. A Quiet achiever, Fiona has achieved a 3rd place at the longest day in 2016 with a subsequent trip to Magnetic Island Adventurethon as a prize and a convincing win over the other aussies. 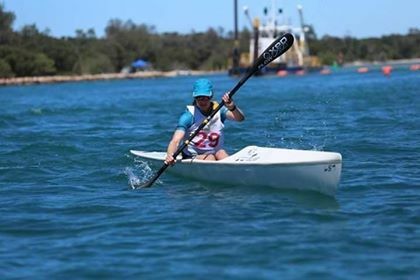 One thing we noticed was her paddle leg was so strong even when we put her in the ocean which was foreign to her, she was able to mix it with the best in the water and could handle technical terrain on the ride and run legs as well as the hot conditions of North QLD. 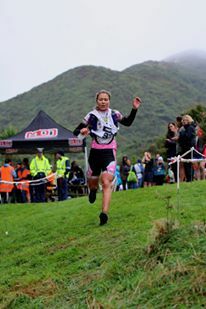 Recently Fiona put up a fight along the 70km Section of the Waimak at the Rasdex river race where she was narrowly edged her out of the top step of the podium, this form against standalone paddlers would be a confidence boost for Fiona going into the multisport event. Fiona is very capable in all disciplines and we look forward to seeing how competitive she wants to be on the start line. Fiona skipped the 2018 Coast race but was there to cheer the competitors on, fuelling her fire to compete in 2019. Marika is from Sweden and she is a strong athlete with a big engine. “The longer the better” is her race preference (just as well with an expected finish time of around 13hrs for the womens race winner). Having broken a race record in the Otillo Swimrun World champs with her partner. (just under 9 hrs might we add) she will be up to the endurance demands needed for Longest day racing. 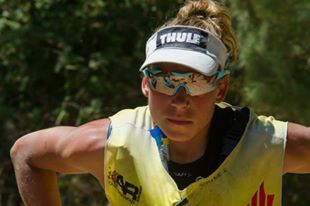 Marika is also a world AR champs athlete having raced Adventure racing world champs recently as well as competing in ARE Extreme Challenge Scandinavia in 2018 and taking the win. 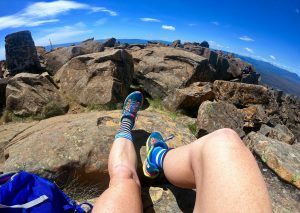 Isla tells us running goat pass is her strongest leg but has had to really put a lot of work into paddling “the Mak” since last time she raced. 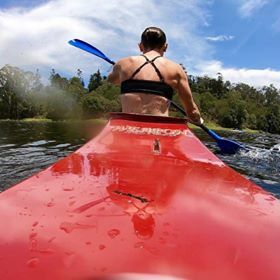 With a recent awesome performance at the Rasdex river race leading some of the top women paddle specialists for a moment she will be happy with the form she has managed to create in this year’s season. Isla will be hoping for a strong back half of the race with her newly forged kayak form. Bern is a solid competitor in both triathlon and Adventure racing having raced Ironman triathlons and numerous Expedition length, 48 & 24 hr AR events, china AR events as well as the Adventurethon series national champion at her first attempt, Bern is a formidable competitor, pretty even across all disciplines however at her first attempt at the Coast to Coast she doesn’t seem hellbent on taking out the drought of female Aussie winners…can you believe there hasn’t been one yet? Ever… with a marked run leg these days the home ground advantage for kiwis is disappearing with last years win by Robyn Owen, so all we can do is hope 😊 Go Aussies!! We got to see Berns Twin sister Elizabeth on course at last years coast and Bern was part of the support crew so it was fitting that Bern would race this year, no doubt with Elizabeth crewing for her… typically the girls are very similar performing athletes we will see if she can equal or better her sisters 2018 performance. 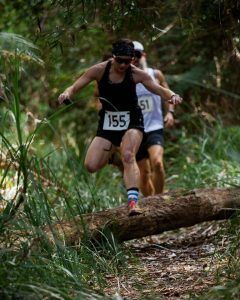 Leela got her shot at the Coast to Coast by winning the Adventurethon 3 stage race in Clarence Valley NSW in December 2018, so not a lot of lead in time for her but she is enjoying the challenge and new focus over the silly season. 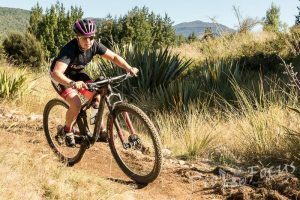 Leela is an accomplished Triathlete now Pro Off-road triathlete and has raced across the world with some good results in Xterra . She possesses the speed needed to keep up on the first run and cycle and has been practicing technical rock hopping which featured heavily in the Clarence Adventurethon which she won, so hoping not to get too far behind on the mountain run to be able to stay in the action as long as possible. The kayaking is certainly a new sport for Leela, having dabbled in outrigging many years ago in North QLD and having an intensive approach to kayaking since her win in Clarence Valley (only 2.5 months ago) we are not putting undue pressure on her for the kayak leg instead hoping she develops a love for the sport and wants to get in a boat again after seeing the amazing Waimak River… Should she not fall too far behind we know she can ride a bike fast having come from on road tris before taking up off road tris. The best part of watching Leela take on this challenge is that she is taking on her weakest leg the kayak head on and really pushing her comfort levels. We look forward to the women’s race Feb 9th and hope this race will motivate more women to take up the crazy off road pursuits that lead towards these championships. Tell us who you think will take out the womens race and how the day will go down ! Apologies to not mention all female athletes on the list, these are the ones I most knew about in terms of competition and being in Australia i totally believe there are some unknown athletes who will come up and surprise us all this Feb.
next Race on the series is Adventurethon East Gippsland 3 stage race March 30th and 31st in Victoria Australia where we hope to assemble an amazing womens field.